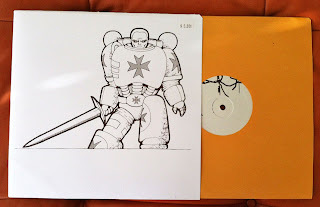 Black Templars Music On Vinyl! 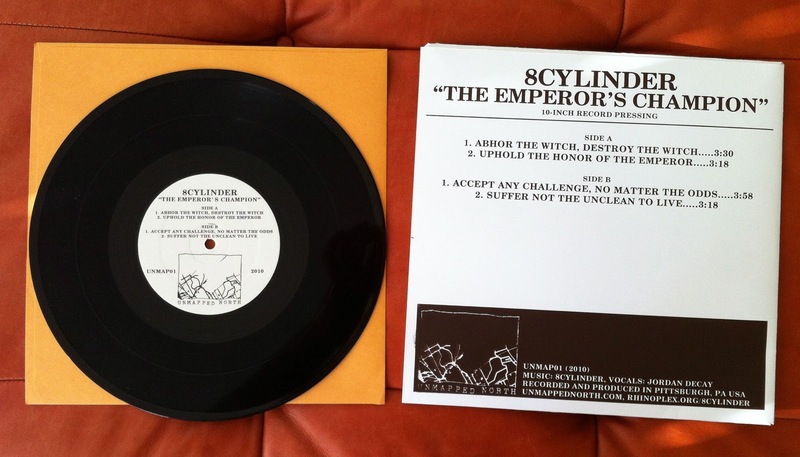 "Abhor the witch, destroy the witch"
"Uphold the honor of the Emperor"
"Accept any challenge, no matter the odds"
"Suffer not the unclean to live"
What an awesome gift this is. 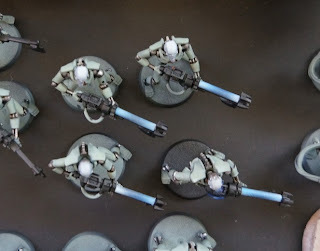 I thought that the two pre-heresy land raiders by wife gave me for Christmas were cool. This is far cooler. 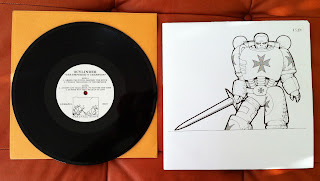 I've been wearing a smile since this arrived. 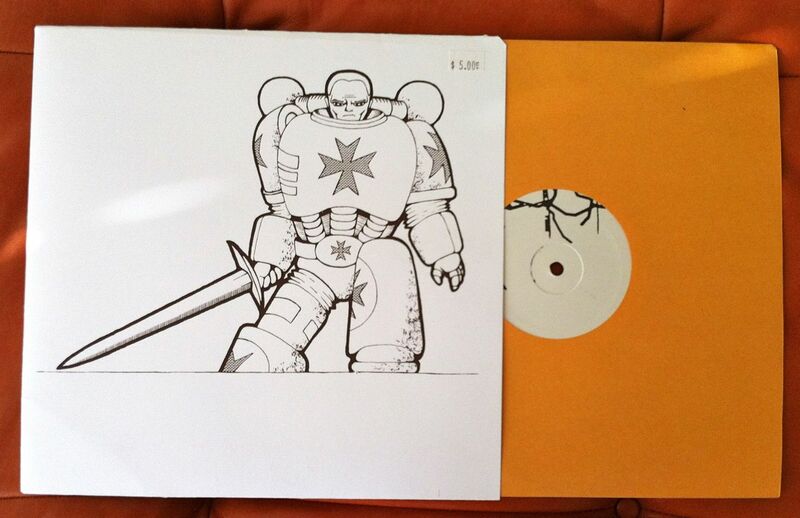 Maybe this is a sign to use all those FW goodies I've been collecting and make a Black Templar force? I am nearing the home stretch of having enough HQ/royal court members to start playing games with my Necrons. I am ready to paint something else for a while. I am eager to base all of these guys, put dust on their legs and get them on the field of battle. I like both of these guys as HQ choices. 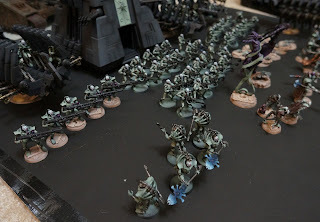 I could see myself running a mostly royal court army just for fun, maxing out on crypteks and scarabs, and taking minimum sized troops choices. It wouldn't be a tournament list, but it could be a lot of fun to see what happens when there are 10 crypteks on the field all in small squads. What are the other fun cryptic lists? 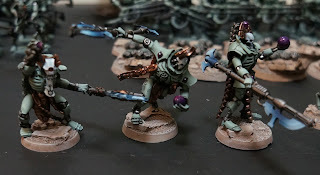 I like the GW Cryptek model, however after buying two of them, and needing three more, I decided to see what I could do using some of those extra bits left over from some of the kits. 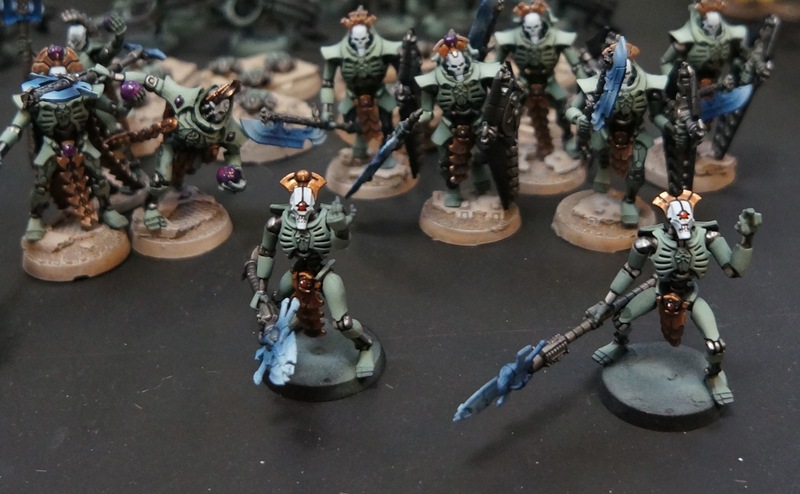 I started with necron warrior bodies and added LG loin cloths, TT tails, LG rods of the covenant, and then half LG heads half death mark heads. I have no idea where the left arms came from, the the gestures looked amusing. So what do you think? Do these guys pass as Crypteks? I can always use them as little generic lords and go out and buy three more identical dudes. 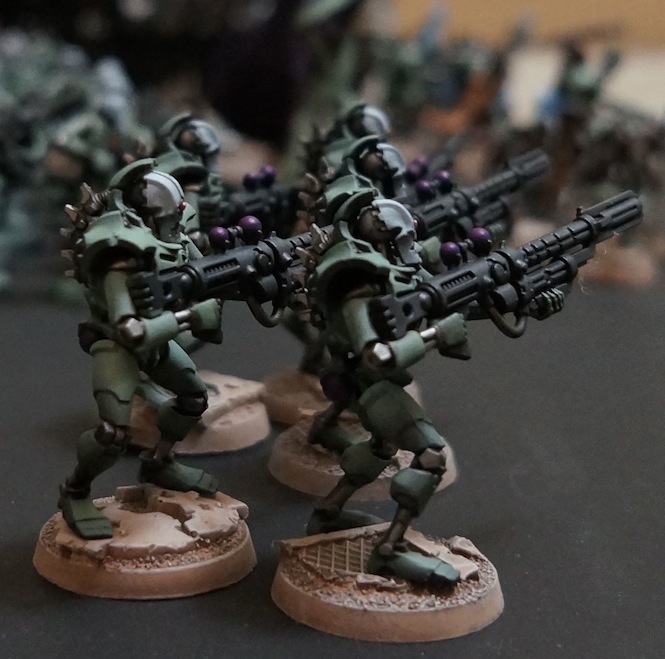 Completely unrelated to the modeling, I am really happy with how the green shading on the torsos came out. There is a lot more contrast, and I don't feel the immediate need to lightly wash the things. I can't stand the transparent Necron plastic that comes with the older Necron kits. There is no way around it. In a hobby where I paint tiny models, something about seeing bare plastic makes screams tacky to me. Rather than delve into this inherent contradiction, I'm going to instead focus on what I've done to get rid of the green stuff. In some cases I think It worked, and others, I am sort of meh about the results. Good word meh. First off I had to come up with two replacement color schemes. 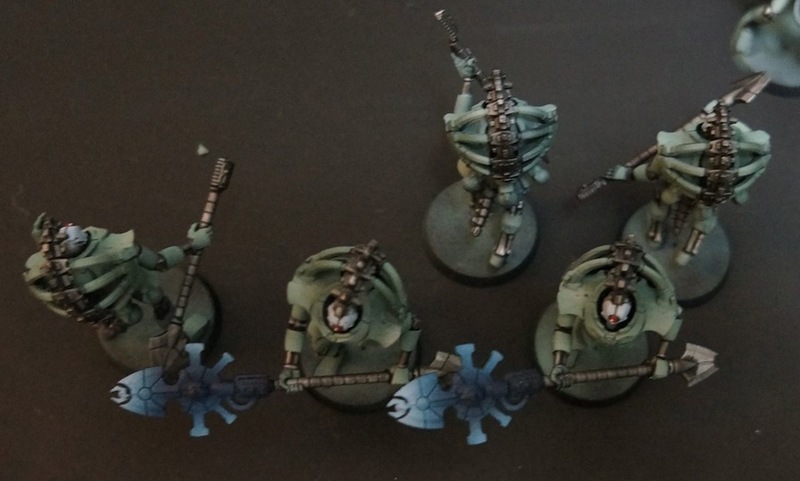 I had already determined that white to blue would be the color/style for all of my power weapons, so I decided to push this theme for all of the green rods that come with the kits. 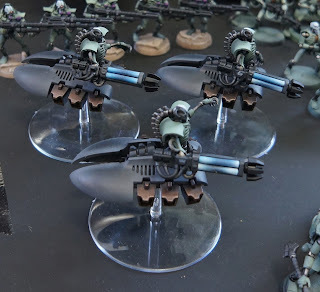 Implementing this was the work of tedious air brushing. The new blueish rods are all done, and can be seen in the destroyer models, the warriors, and the sides of the monolith. after weathering I plan to add a gloss coat to all of the blue throughout the army. Having both matte and gloss is another way to bring visual interest to the army. The second set of tacky green plastic to replace was the giant crystal at the top of the monolith and the warp portal on the front of the thing. 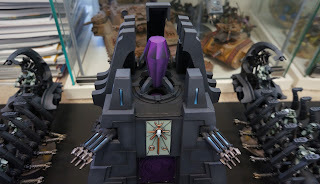 Much like the blue, I had already picked purple out as the color scheme for resurrection orbs and the weird teleportation balls on the backs of teleporting troops. I wasn't sure about this decision at the time, but my desire to be consistent, and follow my evolving painting rules, lead me down this path. The crystal was a pain to paint, carefully cutting blue painters tape and taping off alternating faces of the crystal and then airbrushing the shading on. I wish I had gone with blue. However, the purple is here to stay, at least until I have weathered and sealed the thing. A couple of other painting updates. 1. 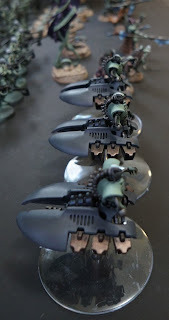 I finished the airbrushing of the Triarch Pratorian war scythes. 3. I painted one of the classic Necron lords and added him to my royal court. Not bad for a Saturday! 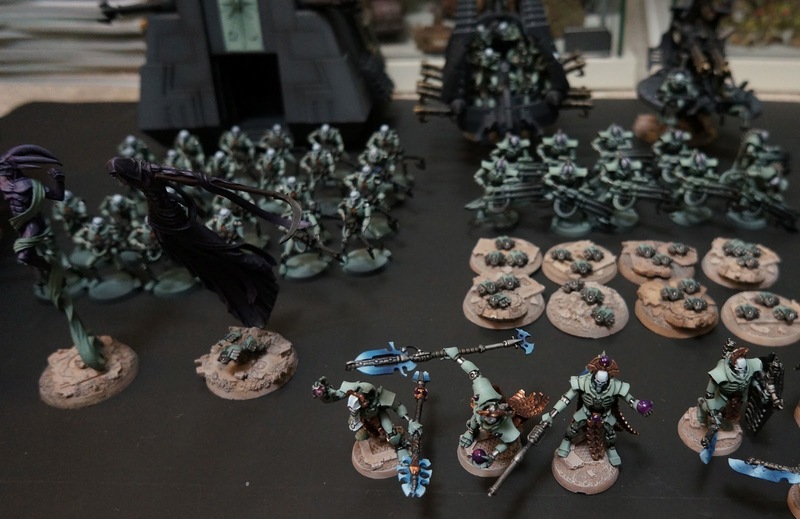 So last year I had a great time at the NOVA open, it allowed me to play all eight of the games of 40k that I had played that year. I had a great time. The people I met are great, the games were fun, the room was stinky, and the hurricane and rain provided a sort of gamer car wash when lunchtime came around. So obviously I signed up for the NOVA for next year, but I haven't played any games since the last NOVA. I decided to go with Triarch with war scythes. 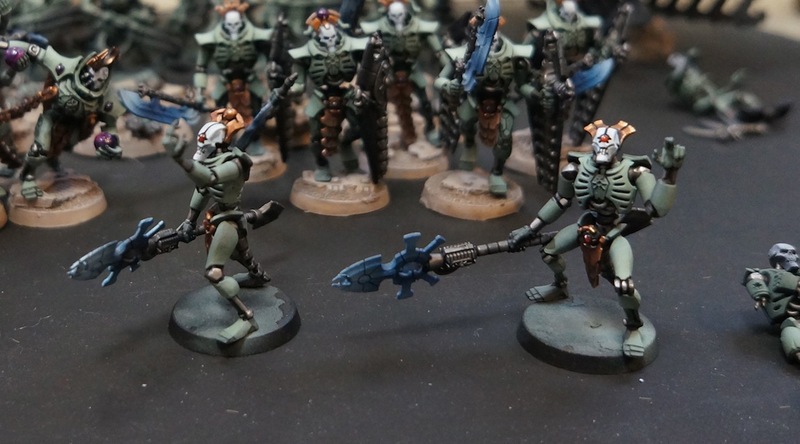 I like the way the shaded blue power weapon portions stand out against the green. Unfortunately I forgot to paint the other side of the weapons when I was batch painting the lychguard, so I have to go back and do that before I can complete the staff. When I was painting the death marks and was doing the red eye/sensor thing, I went ahead and painted the red sensor on these guys as well. 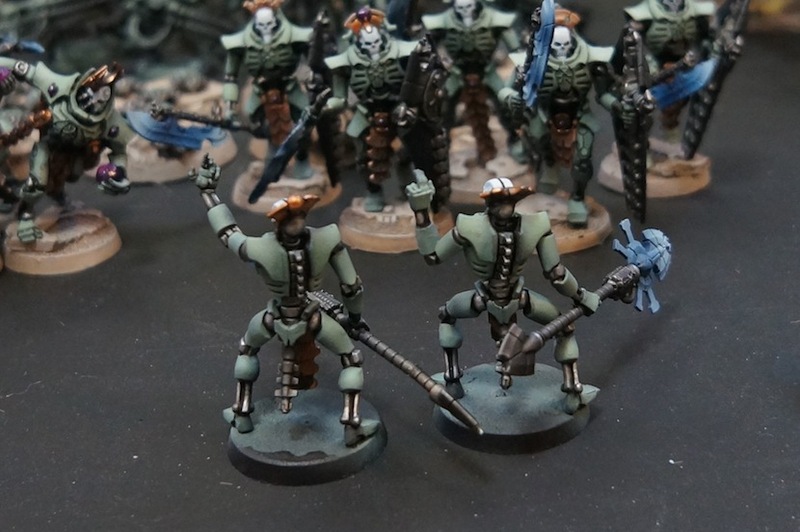 These guys were almost painted by mistake. 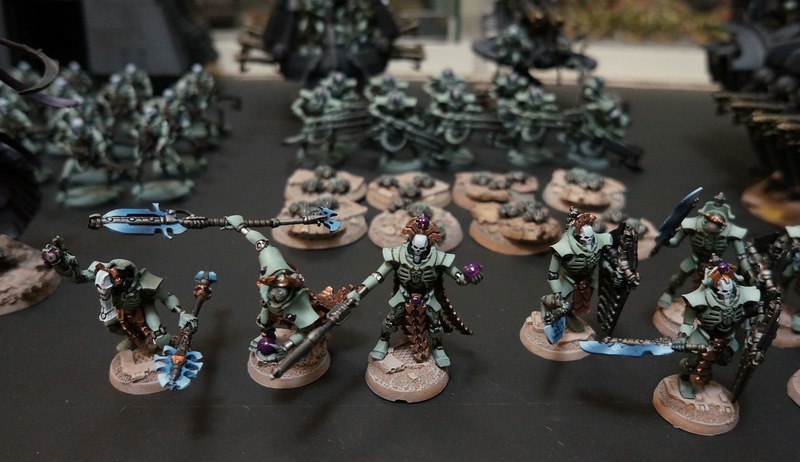 It was like the excess painting from other units spilled over and I realized that I had nearly completed a unit without thinking about it. 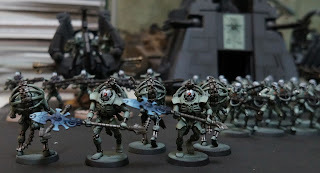 The 40k question. Will I field these? Eh, maybe. I've been knocking around the following list idea for a 2k list. I am thinking primarily NOVA format. 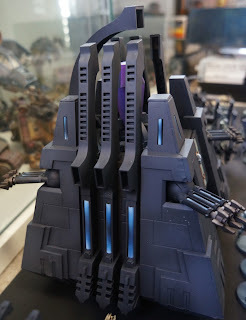 Basically I want to hold two or three objectives, and let my arks contest of they survive to do so. There are three objectives that the nova open focuses on, objectives, table quarters, and kill points. They get swapped around depending on the mission, but an army needs to do well in all three to succeed. I believe if I can slow game time down, and make it difficult for the enemy to get to me, I can contest 2 of the remaining three objectives late game using my arks. Eventually my opponent will get to me, which is where a load firepower should help. I think I just need to avoid early assault to give myself time to shoot. 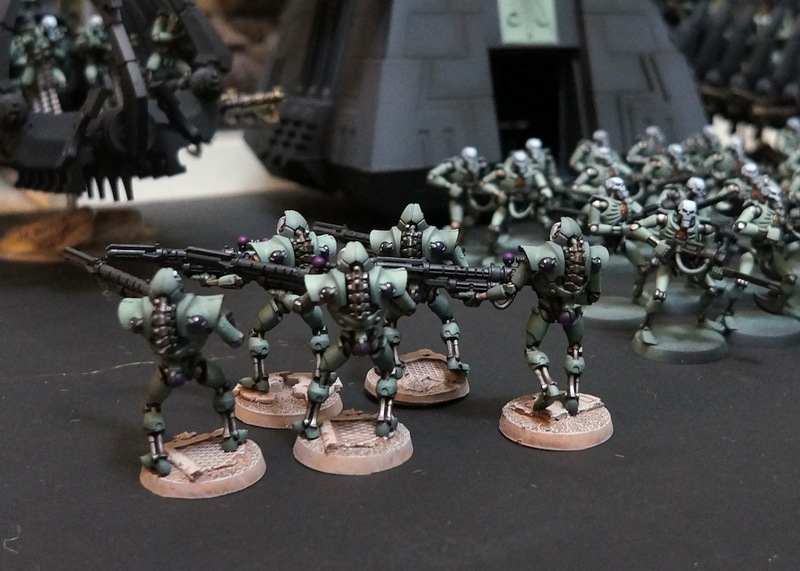 The scarabs and the C'Tan function as suicide troops if my world shaking difficult terrain does not work. Gloom Spyders provide anti-grey knight defense, with scarabs as a carpet moving forward providing distance threat. 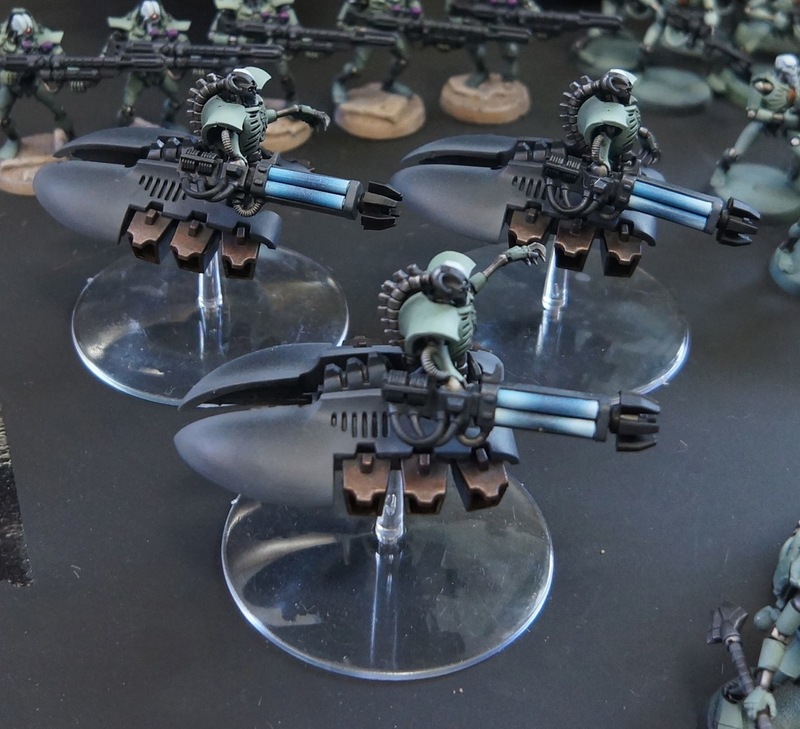 These could have been tesla equipped Immortals, which would have added the first tesla equipped troops to my army, instead they are Deathmarks. The rules for these guys do not make much sense to me. Short range assassin snipers that show up just in time to be shot during the other players turn. Despite that, the story behind these guys, that they are the assassin class of the Necrons, and the cool cycloptean look of the models themselves ensured that I would end up painting a squad. Usually I can imagine fielding even the worst units. These guys take the cake. 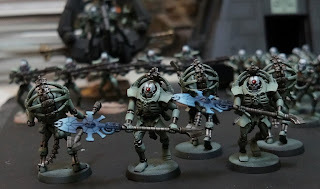 I think they are going to sit nicely on my shelf next to their Necron brothers, and simply provide me visual entertainment. When I was prepping my second batch of neurons, I stripped the sprues and dumped the contents into open box lids. It turns out that it takes very specific arms to make theses weapon configurations work. Much like the Ghost Ark, where I failed to read the fine print, I found myself trying to dry fit each arm to each weapon. One of minis looks like his shoulder is being torn from the socket. But I suppose that is what you get when you are a short range in your face sniper without any close combat ability! I added red as a new color for the army, and plan to add red gems/lights to the tops of the ghost arks. 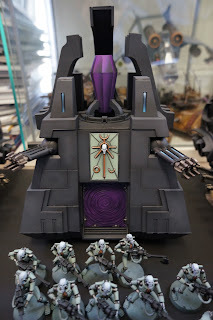 I used the purple color again, on the weird dangling balls on the back, as well as the embedded globes on the back armor. 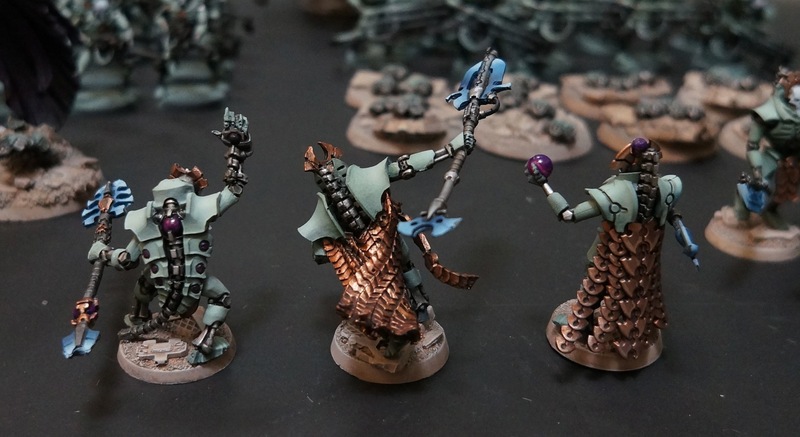 I am slowly settling on the the scheme that purple means weird warp technology, red is non Necron eye sensors, and shaded blue/white are power weapons or gauss cables for cause weapons. 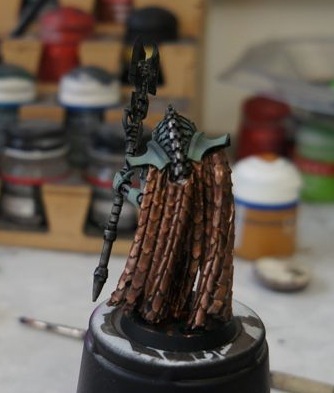 I think those colors will add all of the contrast I need for the army. I've got a batch of triarch praetorians on the painting table now. I think those guys are considered useful in people's army lists, so they might see some action on the tabletop. I've been reading quite a bit online about how terrible Necron destroyers, death marks, or various other units are in the Necron codex for a while now. It is easy for me to decide to paint something that will never get fielded, because I am a very fast painter, and I rarely play. I paint because I want to paint, very different than paint to play. I understand how a dedicated gamer might need to optimize his or her painting time, and am very fortunate that I do not have to optimize mine. Hence my next series of posts are all units that people online have urged me not to buy! I appreciate their advice, and if this army ever sees the field I will do some careful editing, however for now it is really all about painting cool toys. In terms of speed, these destroyers took around 2 1/2 hours from start to this stage. (still deciding what to do with the ugly transparent plastic green rods). It seemed the models just spoke to me. Part of that comes from having a recipe now that I am familiar with. 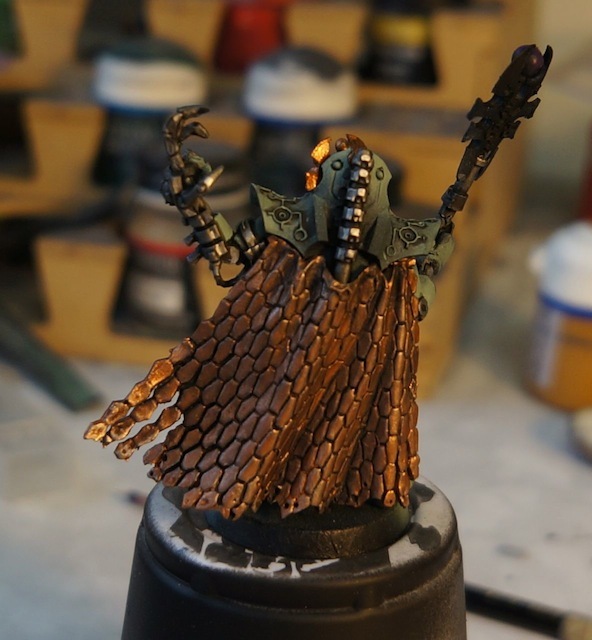 For instance I did not have to think about what color to paint the beetle/egg shaped carapace section. I knew it had to be dark grey, shaded to lighter grey at the edges. After painting my vehicles that became standard. The minty color I can knock out in in a couple of minutes with two color changes in the airbrush, so it is easy as well. these miniatures were quick and easy to paint, which combined with their striking form, made them a joy to paint. 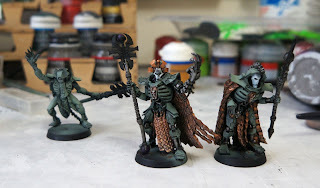 I really want to paint more of them now. I think a lord and a heavy destroyer should be added to the mix. If I had simply followed the net's advice, I would have never bought these, and never gotten the thrill it was to see them add diversity and visual interest to my army. to munge a slogan from Apple, Paint Different! 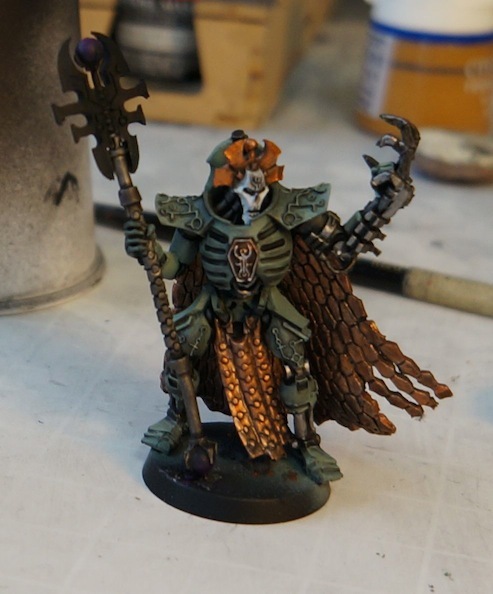 I just finished a Necron Cryptic to add to my steadily growing force. I am a bit surprised GW did not create a box for these guys since 4 of them are auto-includes in any army, and the unit is so interesting fluff-wise. I am not sure what I am going to do for the other cryptics I need, since I can't see myself buying duplicates. 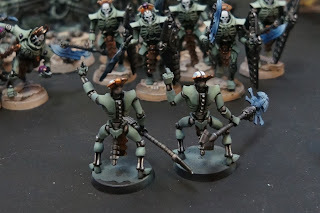 I feel like I am running out of interesting necron units to paint. Anyone have any spare plastic scarabs? Those never get old!